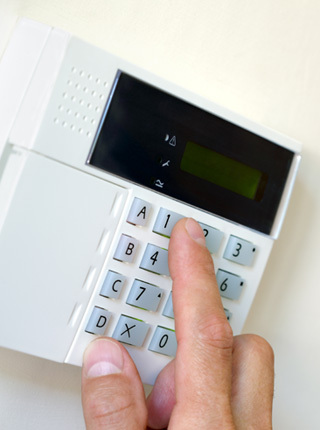 DLES offer home and business security systems and solutions. Please select whether you are looking for home security or business security below. We install and maintain domestic standalone bells only and monitored alarm systems throughout Lanarkshire West and Central Scotland. If required, our systems can be configured for police response. SSAIB insurance approved intruder / burglar alarm installers. No obligation quotations given with free appraisal of your current home security. Installation of low cost wireless systems with minimal disruption to internal decoration. All systems are easy to use with the backup of 24 hour support. High integrity perimeter alarmed systems for high risk properties. We install and maintain CCTV systems throughout Lanarkshire and West & Central Scotland. High quality night vision cameras available. We install and maintain door and gate entry systems throughout Lanarkshire and West & Central Scotland. We install and maintain commercial standalone bells only and monitored alarm systems throughout the Lanarkshire and West & Central Scotland. If required, our systems can be configured for police response. SSAIB approved intruder / burglar alarm installers. Comprehensive range of signalling technologies available to suit all insurance requirements. 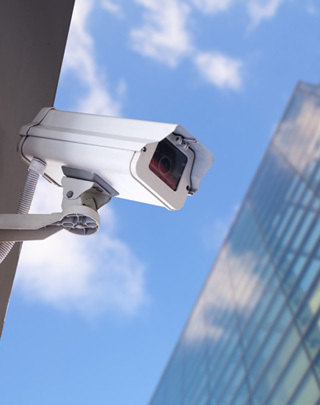 We install and maintain CCTV systems for businesses throughout Glasgow, Lanarkshire, West & Central Scotland and Edinburgh, from our offices in Lanarkshire. Vandal proof dome cameras and enclosures available. We install and maintain access control systems for businesses throughout Lanarkshire and West & Central Scotland. Maintenance and repair of legacy access control systems. DLES provide fire detection and emergency lighting systems to a large range of businesses and commercial operations. We can assist you in ensuring your company fulfils its legal responsibilities by complying with the Fire Safety Order, but, more importantly, ensure your staff and premises are protected against the risk of fire. Why use DLES Security Systems? Free initial consultation and system design from experienced specialists. Professional installation from industry standard trained specialists. 24 hour security monitoring with police response. Please contact us for your security system requirements.